Inevitable Ascension is all over the place. I mean it never stops moving. Violina and Lux hop across time and run into trouble no matter where or when they are. The whole book has nearly a video game feel to it. You don’t have any idea what is coming up next, because you don’t know whether this time and place is going to exist or not. Much of the plot is based on the idea that time travel to the past may change the present, but maybe not, because maybe the present already reflects the fact that time travel had already happened, or is going to happen. Try to get your brain around that idea. I was intrigued by this premise. It kept me interested. Is Inevitable Ascension great literature? No, but is a very different book, and fun to read. Will you like it? I don’t know, I did. Sometimes I got a bit confused, but I always found my way back. I enjoyed the concept and the action. The writing was a bit hit and miss, at times, but it worked for me. Overall, a unique and fun book. Kind of a YA, Steampunk, Fantasy, Time Travel, Action Adventure. If that sounds like your kind of book, then I think that you will like it. I give Inevitable Ascension 4 Stars out of 5, and a Big Thumbs Up! Violina, a girl polarized by love and loathing, finds herself thrown into a post-apocalyptic world with mankind on the brink of extinction. Discovering the means to travel back in time, she sets out to save the world by preventing the events leading up to the apocalypse. But as her quest advances, she becomes increasingly disgusted by the evil inherent to humanity and seeks lethal justice against all who wrong her—a list that grows exponentially until it encompasses all of mankind. What was it that gave people the right to live? Was it simply being born? No. Everyone is born to no credit of their own. It’s the choices people make that determine whether they deserve their lives, and by that standard, everyone Violina knew deserved to die — everyone except for Lux. Who is V. K. McAllister? A young woman awakes suddenly. She is trapped. She can’t see anything. Her hands are held at her sides by some kind of straps. Her feet can’t move either. Something is trying to bite her neck. She must get free. She struggles and is able to break one hand free. She grabs the snake and then bites its head off. But she is still trapped. She has to escape. She doesn’t know why she is here. She doesn’t know who she is. She just knows that she needs to be free. That’s how Alive begins. You are seeing the panic and horror through her eyes. You will discover who you are and where you are, but before you can figure anything out, you need to escape. You have many more puzzles to figure out. The story is one of discovery. Everything is unknown. Scott Sigler is beginning a new Young Adult series. This is a well written firsthand account of M. Savage. She is the person you see, and the story unfolds from her point of view. You get to know her as she gets to know herself, since she has no idea who she is, where she is, or why she is there. There are more people, but they are as lost as she is. The story is their story of discovery. I enjoyed this book. It’s a very quick read, partially because it’s a short book, but also because the book is very hard to put down. It is definitely the first book in a series, but since there is some plot resolution, I’m not labeling it a serial, even though you will be anticipating book two. I hope it comes out soon. I give Alive 4 1/2 Stars out of 5 and a Big Thumbs Up! You should read Alive, if you want to get in on a new, exciting young adult series. 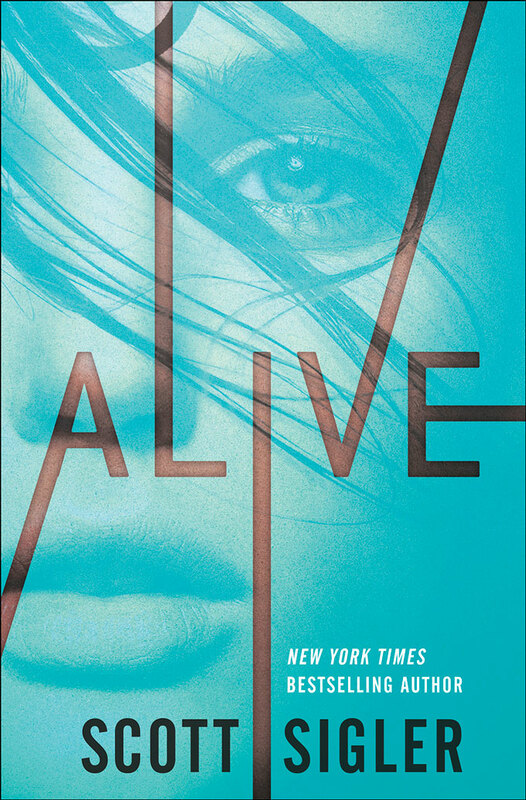 If you would like to listen to the FREE audiobook of Alive, it’s available at Scott Sigler’s blog. Click here Alive, episode 1. Scott is podcasting the whole book. A new episode is out each week! 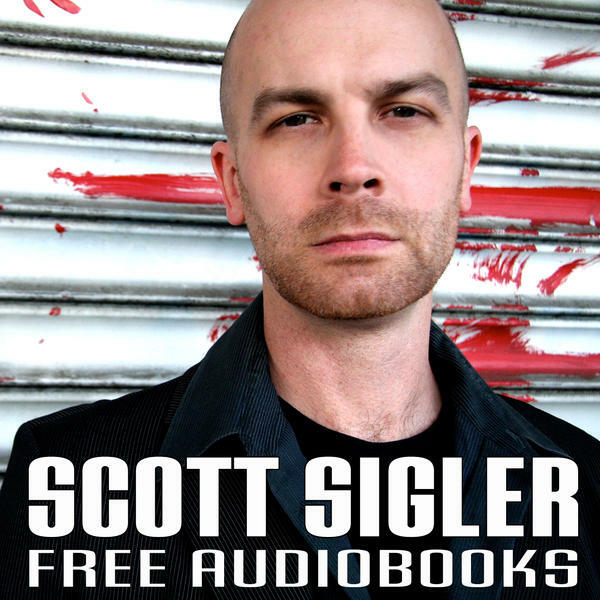 Scott Sigler podcasts all of his books for free! I received a Digital Reader’s Copy from the publisher. New York Times best-selling novelist Scott Sigler is the author of the INFECTED trilogy (INFECTED, CONTAGIOUS and PANDEMIC), ANCESTOR and NOCTURNAL, hardcover thrillers from Crown Publishing; and the co-founder of Empty Set Entertainment, which publishes his Galactic Football League series (THE ROOKIE, THE STARTER, THE ALL-PRO and THE MVP). He’s been covered in Time Magazine, the Washington Post, the New York Times, the San Francisco Chronicle, Entertainment Weekly, Publisher’s Weekly, The Huffington Post, Business Week and Fangoria. He still records his own audiobooks and gives away every story – for free – to his Junkies at http://www.ScottSigler.com. A Michigan native, Scott lives in San Francisco but still roots for his beloved Detroit Lions. 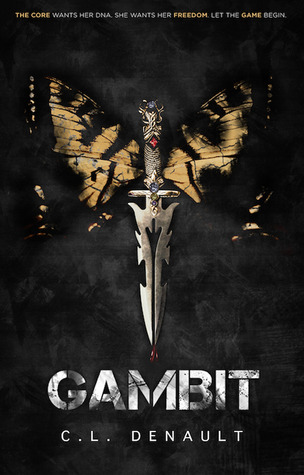 Get Gambit in paperback or for your kindle today! Find out more at cldenault.com, twitter or facebook. I have to let you know right up front that I know the author, Pennie Makela. She is married to my cousin, but I will try to keep this review as objective as I can. All Around Grace is not aimed at me. I’m not the target market for this book. I doubt that Ms. Makela ever planned that a 65 year-old retired male Steamfitter would be reading and reviewing her book. Her normal audience would be my granddaughters. This is much more their style. But I have read other YA books, so I have an open mind. There is a definite religious angle to the story, since there are angels and demons, and even a cameo by God himself. But really the story has more to do with a young girl becoming an adult, and learning how to deal with the disappointments that life can bring. It’s all about making the right choices. All Around Grace uses angels and demons, but the basic moral is the same, as you grow up you have to find in the good in life, otherwise you will wallow in the bad. 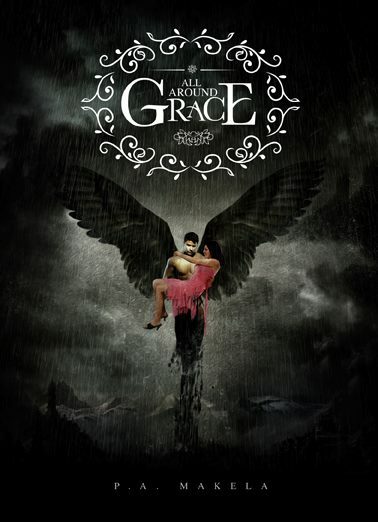 All Around Grace is one of those indy books, and therefore can cause a reviewer some problems. I have accepted a number of indy books that I am going to be reviewing over the next couple of months, and thought that this would be a good time to bring up a few questions that I have in my mind. I would like to think that I am going to ignore where a book comes from and just judge it on its merit. Well, that would be all good and fine, except for the fact that a lot of books that I get are Advanced Reader Copies. They state that they are NOT the final version, and any errors will be corrected before publication. Whether that is true or not, I tend to ignore spelling, grammar, and word usage errors in these ARCs. What about those errors in an indy book? That’s one problem. I think that I will ignore most of them, but may comment on it. If it’s too bad, then I will have to say something. Then the next question comes up. 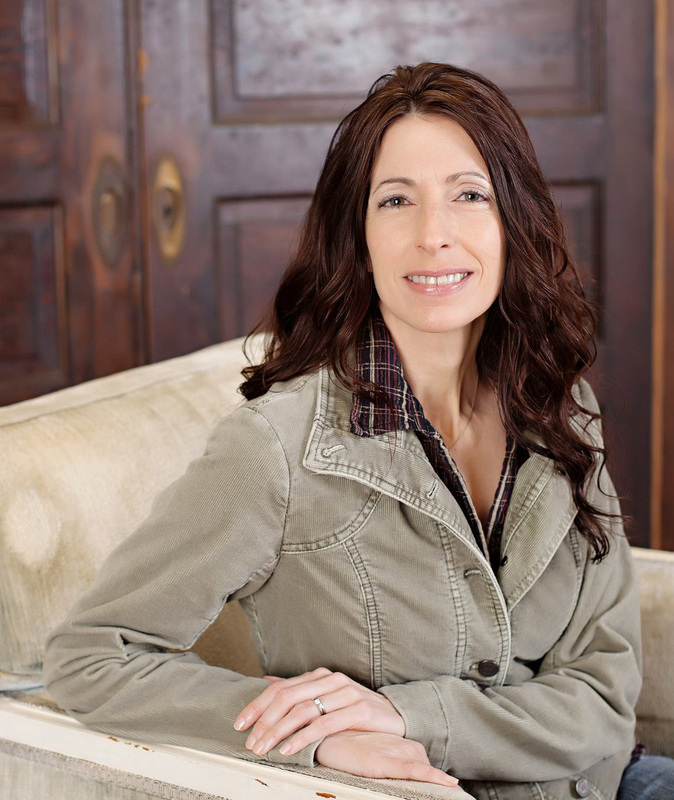 Most indy authors don’t have the editing support that major publishers give their authors. They submit their final draft to the publisher and then spend many months making the rewrites that are requested, sending back the manuscript, getting more edits, making more changes, and so on. Most indy authors are on their own. They have to pay someone to be their editor, so this process is much more abbreviated. So the question is, do I hold them to the same level? Should the book be as polished? On this, I think the answer has to be yes, as much as possible. So I will make comments on the structure of the book. The last question has to be, will I rate indy books the same, will a 4 Star indy book be as good as a 4 Star book from a major publisher, or do I use a different rating system? The only thing I can do is to rate them all the same. A 5 Star book has to be GREAT! no matter who publishes it. So after all that, what do I think of All Around Grace? I give it 3 Stars out of 5. It has a few problems that extra editing could have helped, but the story was good. I would recommend it to my granddaughters who are in high school and middle school. I’m going to let them borrow my copy, I think that they will enjoy it. They might even want to have their Grandpa get them their own copy. Have you ever felt truly alone? After her family moved her away from everything she knew and loved, Grace did. The gray, dismal winter in Michigan’s Upper Peninsula made things worse. She didn’t know anyone, and no one seemed to care. She fell deeper and deeper into a dark state of solitude: she was truly alone. Or so she thought. The sudden appearance of beautiful strangers into her life begins to change her mind about friendship, love, and the line between good and evil. As a series of unexplainable events unfold around her, she starts to uncover the hard truth that no one is ever truly alone. You can also purchase the book at that page. I went to Scott Westerfeld’s website after I reviewed Afterworlds. He is running a series that anyone who writes, wants to write, or even reads YA should check out. I put the first 2 paragraphs here, with a link to his page. Check it out. Quite interesting. So between now and November, this blog will host excerpts from a non-fiction book I’m releasing next year, called How to Write YA. You can’t buy it yet, because it’s not done, but you can preorder Afterworlds. It comes out September 23. Afterworlds was such an interesting concept. It is the story of a high school senior, Darcy Patel, who writes a book in one month, gets an agent, and has a big-time contract by the time she graduates. She has until September to do rewrites and then start on the second book. She has a year to finish that. She decides to postpone college and use her huge advance to fund her move to New York City, where she feels that she will be in a literary atmosphere, and will therefore be “A Real Writer”. This, by itself, would be an interesting story, but Mr. Westerfeld adds another story. He lets you read Darcy’s novel. This book’s two stories are told in alternating chapters. One chapter of the novel, then one chapter about the novelist. Most of the time this works, but sometimes it feels a bit forced. 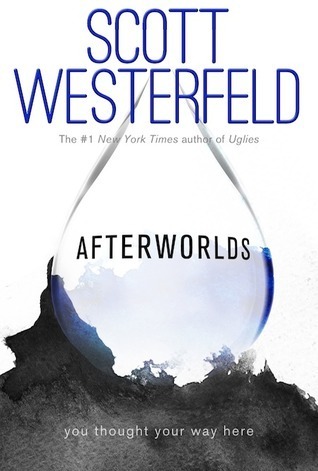 If I hadn’t read and enjoyed some of Mr. Westerfeld’s earlier YA novels, I might have put Afterworlds aside, but since I really did need to read it, I pushed forward, past the spots that annoyed me, and finally the last third became more engaging. The book ends strong, so I came out thinking, “Yeah, that was really pretty good.” There were some flaws, but worth reading. Since half of the book is about the life and the craft of a novelist, there is a lot of discussion centering around writing a YA novel. Most of the people in the Darcy side of the novel are part of the publishing industry. So budding writers will be drawn to this book. They will imagine that they, too, could write the next great YA novel and get a huge advance. I think that Mr. Westerfeld has found a way to grab the interest of quite a few teens that I know. The novel half of the book is what keeps the tension up, so it had better be worth that huge advance. Well, it’s OK, but I don’t think that it would make it as a standalone book. The same could be said about the novelist portion. This book really only works when both parts are working together. I think that is why the middle third of the book is problematical, and why the start and finish work so well. Afterworlds isn’t perfect, but if you know, going in, that you may struggle in the middle of it, maybe you will plow right though and not be discouraged and quit before the end. There are some parts that may not appeal to the parents of younger reader. There are quite a few F-Bombs thrown into the conversations, and then there is Darcy’s female love interest. Not big problems, but I think that parents should read the book first, then they can decide if it’s OK for their kids. I give Afterworlds 4 Stars out of 5. It’s a YA book, it’s told from the point of view of a teen, who just graduated from high school, but it isn’t only for teens. Everyone can read and enjoy this book. I received this book for free from edelweiss and the publisher, Simon Pulse, in return for an honest review. 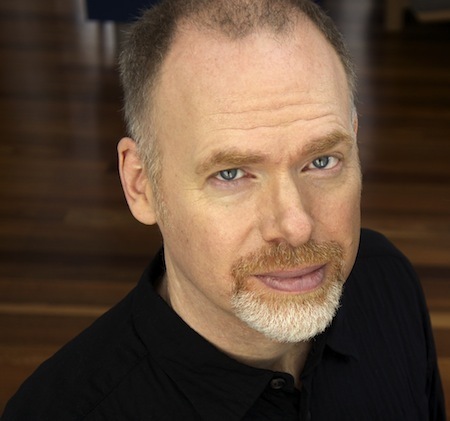 Scott Westerfeld’s teen novels include the Uglies series, the Leviathan and Midnighters trilogies, and the so-called “NYC Trilogy”: So Yesterday, Peeps, and The Last Days. Scott was born in Texas, and alternates summers between Sydney, Australia, and New York City. His next book, Afterworlds, comes out September 23, 2014. If you know who Wil Wheaton is, don’t read Ready Player One. Go out and get the audiobook! Wil Wheaton is Parzival (The avatar for Wade Watts in the OASIS). He brings this first person narrative to life. This book is a real geekfest. All the 70s and 80s music, movies, TV shows, and video-games, that are featured throughout the book hit home as massive connections. Space Invaders, D&D, Zork, MUDs, Pacman, Defender, Trash 80, Atari, Video Arcades, Rush, John Hughes, do all of these bring back fond memories? If so then this book will knock your socks off, but Wil Wheaton will incinerate those socks right off your toes. All of the geekness that was the secret pleasures of a whole generation is part of this book at every turn. Ready Player One has all the elements of a classic adventure book aimed at a young adult audience, but then adds so much stuff that their parents will connect to, that the parents will probably like the book better than their kids. There is the competition that is the book’s main storyline, with side issues of overcrowding, destroying the environment, living inside a video game and never going outside, relationships between people who never meet except inside the game and more. Mr. Cline has written a wonderful first novel. He grabs you and won’t let go. He mastered the first person style and really makes you feel like you are Parzival. This is a great book and even a better audiobook. I give them both 5 Stars out of 5 and I give Wil Wheaton’s performance TWO Huge Thumbs Up! This is one of the best audiobooks I have ever listened to. 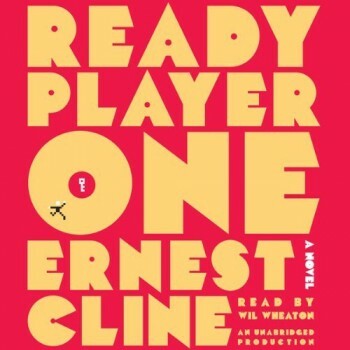 Oh and one more thing, a special thanks to Sheila (Book Journey) for the great review of this audiobook Ready Player One by Ernest Cline. Her review was the reason I got the audiobook. Thanks again Sheila. Richard William “Wil” Wheaton III (born July 29, 1972) is an American actor, blogger and writer, known for his portrayals of Wesley Crusher on the television series Star Trek: The Next Generation, Gordie Lachance in the film Stand by Me, Joey Trotta in Toy Soldiers, and for his recurring role as a fictionalized version of himself on the CBS sitcom The Big Bang Theory.